Fire crews were called to a fire at a derelict building which is being planned to be converted into an Asda supermarket in Todmordem. A crew from Todmorden attended to extinguish a rubbish fire at the former Abraham Ormerod Centre on Burnley Road at 5.46pm on Wednesday. Firefighters spent an hour at the scene using ventilation fans to clear the smoke before crews entered to put out the fire. The incident has been passed onto the police to investigate. 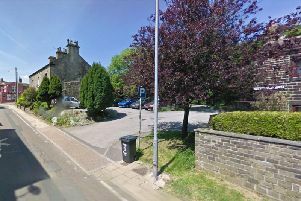 The building has been at the centre of a protest by campaign group Todmorden Time for Change who are aiming to persuade ASDA and other local landowners to take responsibility for the poor state of their buildings and sites in the town.